Today Sony announced the release of two eagerly awaited for flagship televisions. 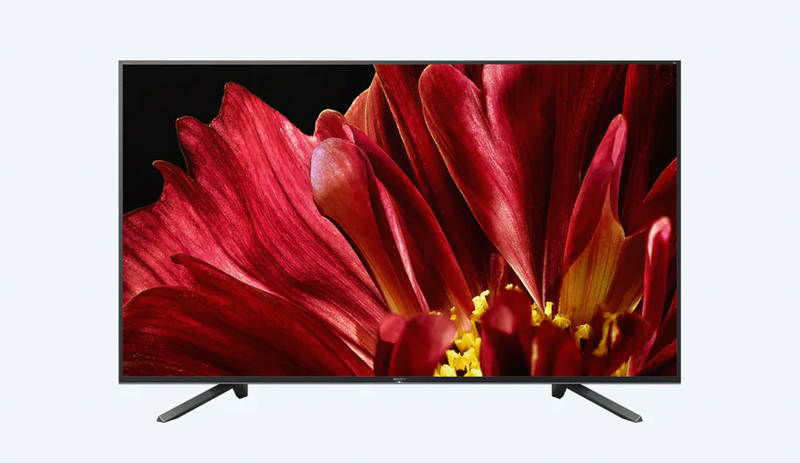 The 4K HDR A9F and Z9F or the Master Series, as Sony will be calling the pair, are the new top of the line models within the OLED and LED range respectively. Below, are just some of the new features which Sony states their reference quality TV’s will offer. The Sony A9F, positioned above the A1E and A8F, is the OLED version of this new release and sports a few new tech goodies within its new design. The TV will be offered in both 65 and 55 inch for now. This means that if you want to go big with Sony’s OLEDs, 77 inch big, you are going to have to stick with the A1E model that was released in 2017. 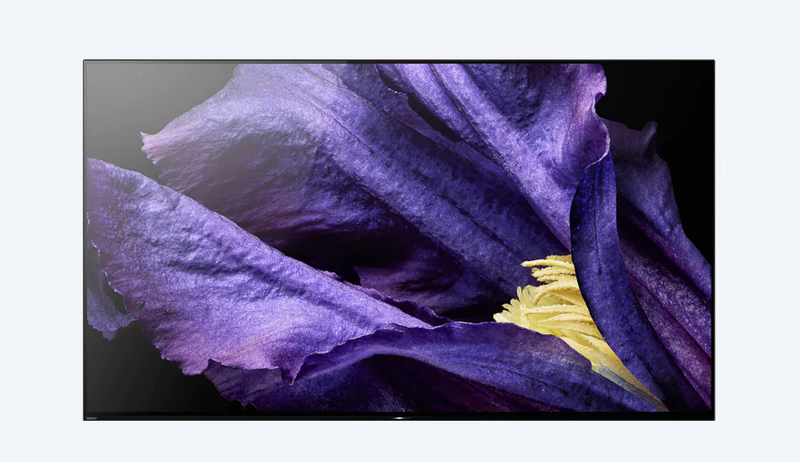 So what’s the big deal with this new A9F OLED? Didn’t Sony just release the A8F in the Spring of this year? Well yes, but Sony has a knack for delivering great new models all throughout the year. The Sony A8F, aside from design, is technically identical to the A1E albeit with a little bit better audio. The new A9F will sport more directional audio, better design , and ultimately more processing power. Having had the Sony A8F myself for about 5 months, I can decidedly say that Sony’s OLEDs would definitely benefit from a little bit more processing horsepower. The picture quality of my TV (Sony A8F) and the A1E was amazing and dare I say industry leading. Just how much better the X1 Ultimate processor will be for picture quality will be determined by our first hand look at the model. 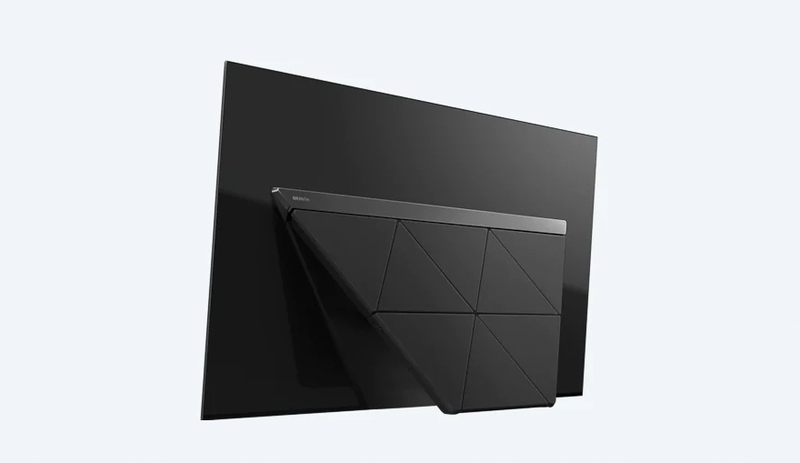 Where the new processor will shine is with Sony’s Android TV operating system and various other apps, which felt sluggish in the previous versions. A couple other areas where the A9F received mentionable upgrades are in its Acoustic Surface Audio technology actuators and design. Technically, now the A9F sports Acoustic Surface Audio+ technology. The “Plus” is due to a newly integrated center speaker/actuator that helps audio travel better from left to right. Additionally, the added center channel also helps to distinguish dialog from action seen in say a Transformers movie or action film. The A1E had multiple actuators for audio but they were laid out in a stereo set up while the A8F was the same but added better bass performance. With the addition of a center-like speaker/actuator the A9F will be able to better reproduce a movie soundtrack and one could even pair a couple of bookshelf speakers and set the TV audio to “Center Speaker” to complement a minimal 2.0 audio set up (although with this mode it would technically be 3.0). Design wise, the tilted-back form of the A1E is continued with this new model but the tilt section is way more stylized, tempting potential buyers to simply leave it out on a stand. 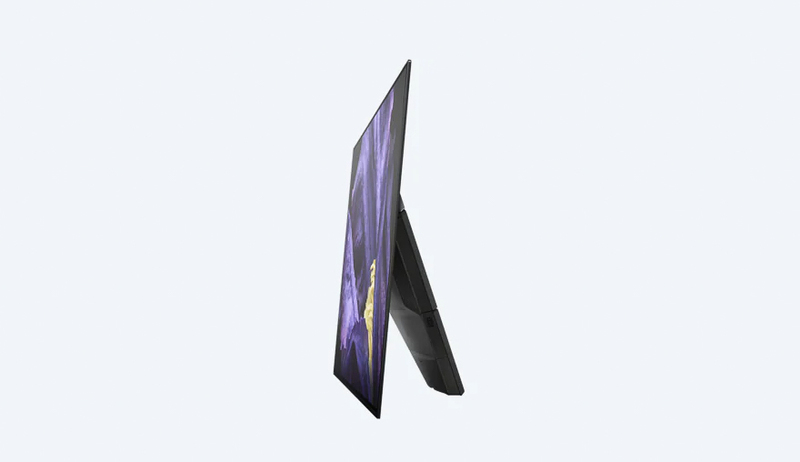 By the looks of it, if you decide to mount it however, the stand portion of the TV should fold in flatter than the A1E’s. 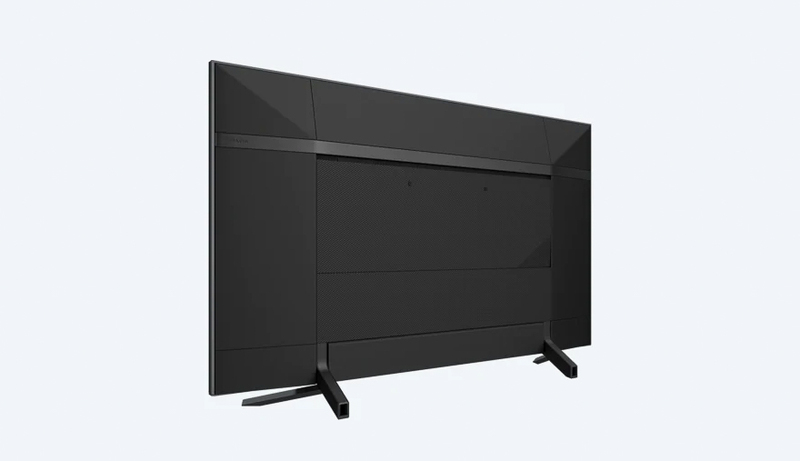 This was a major issue for many people who purchased the A1E as they weren’t able to get the TV mounted in a low profile fashion. Also announced opposite the A9F OLED was the Z9F LED. 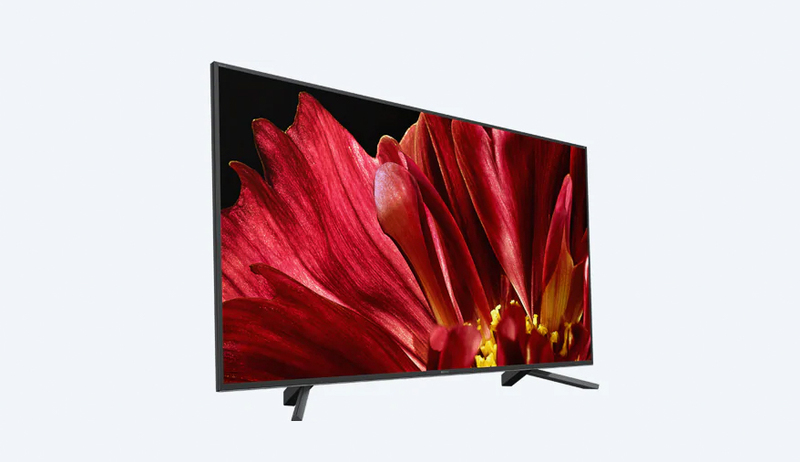 The bigger and brighter option of the release will be available in 65 and 75 inch sizes. This new LED model will also offer the X1 Ultimate chip and feature a VA panel with exceptionally good viewing angles. Various TV calibrators and TV afficionados loved the amount of brightness that the Z9D could produced but wished that the viewing angles would be better. Well now those people can have their cake and eat it too. With Sony’s X-Wide technology this slight detrement is no longer an issue. One will be able to see the beautiful colors reproduced by the Triluminous Color display in all angles. Both the Z9F LED and the A9F OLED will also have the Google assistant built in while Alexa can be integrated with an Alexa device. This gives Apple fanboys a little more incentive to start handing in all their hardware in exchange for more Android compatible gear. We see what you did there Sony. Most Iphones should work with these Master Series TVs flawlessly but if you ever want to mirror from an Iphone you will still need to buy additional hardware; not the case with Android devices. Another great technology that both tv’s will be compatible with is Netflix’s Calibrated Mode. The mode will be a feature exclusively available to these two Sony tv’s. Once activated, the mode will reproduce what the show or movie creators want on these Master Series TVs. The most accurate contrast, color, and motion desired by the creators of the content will be shown on the A9F and Z9F. Will this mode be better than say Dolby Vision? Nobody has asked the tough question yet. We are not likely going to get an answer from Sony either but from the description in Sony’s press release it will be something on par to what you already get with Dolby Vision. Same but different. Pricing or release details are not available, but you should be ready to spend top dollar for both. I cannot wait to see what these two beasts will look like and if they are anything like their predecessors they will be the best in 4K and HDR technology.